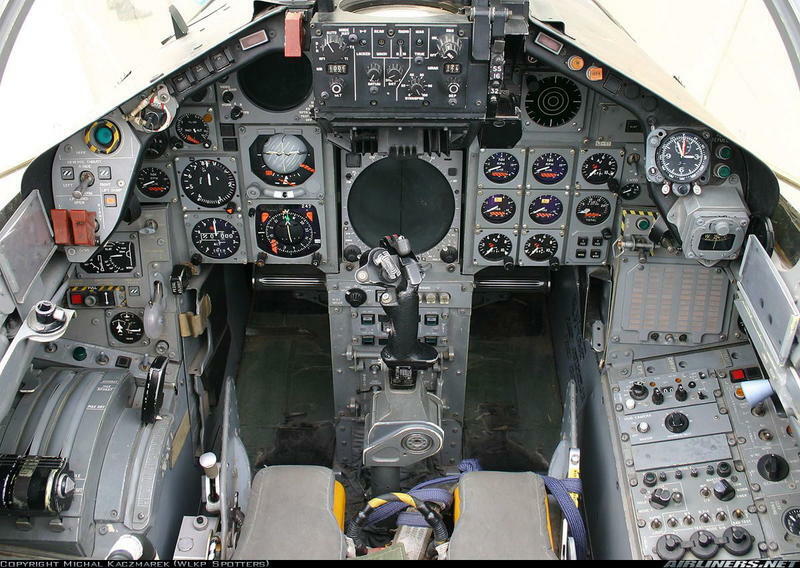 The cockpit of an RAF Panavia Tornado combat aircraft that entered service at around the same time as the MoD Issued SEIKO Chronographs. There are heroes, and there are heroes that we admire. The latter doesn’t like to brag, doesn’t engage in sustained self-congratutory, nor run victory laps that last for decades. Our type of heroes don’t take credit for achievements that aren’t theirs. With that said, the true heroes of today’s watch world understand the appeal and revenue power of exclusivity—but never at the abandonment of inclusiveness. 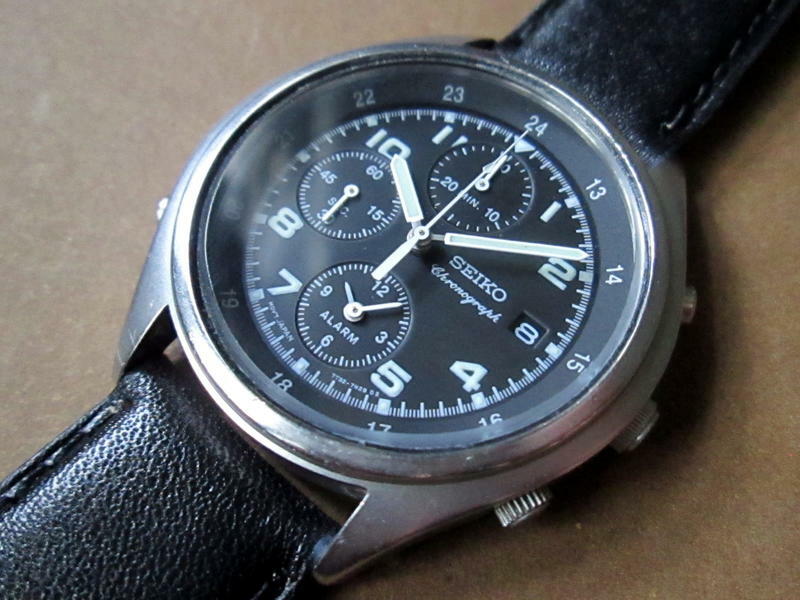 From October 1984 to the present, SEIKO has been one of the very few watch manufactures that supply wrist watches to the British Ministry of Defense (MoD), through its subsidiary, SEIKO UK Ltd. Over the three decade period, the British MoD has issued three generations of SEIKO chronographs to its military. The first, Gen I, chronographs was procured and issued primarily to Royal Air Force (RAF) pilots and navigators from 1984 to 1990. 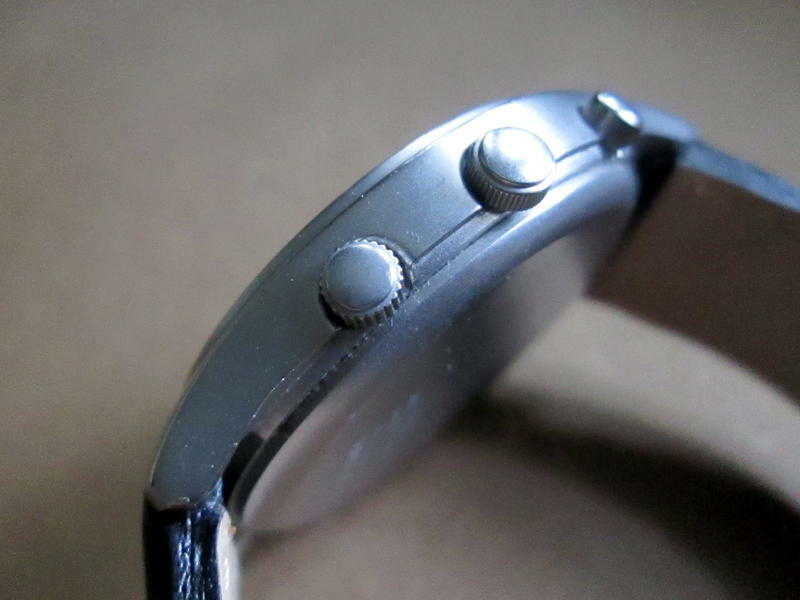 These mil-issue were powered by the then-just-released SEIKO Cal. 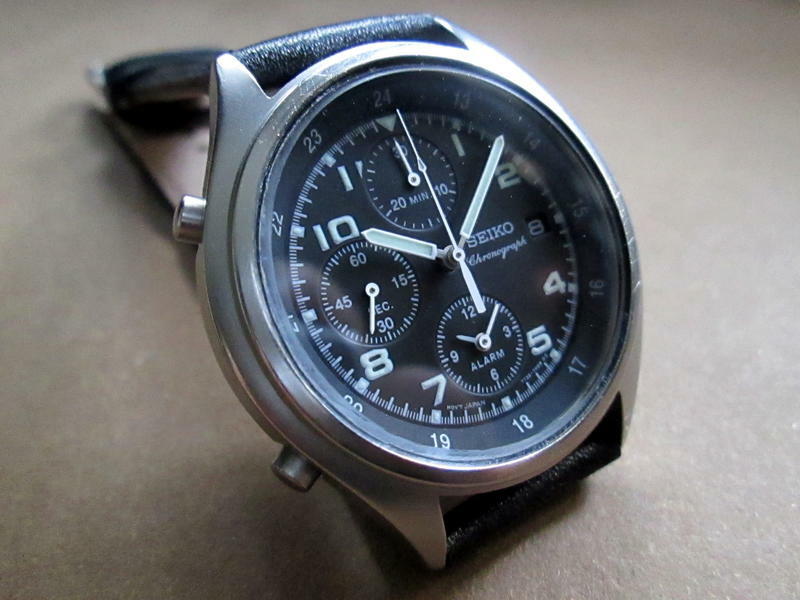 7A28, the world’s first analogue display quartz chronograph, pre-dating both Jaeger-LeCoultre/IWC Cal. 631 and Piguet Cal. 1270/1 Rattrapante. 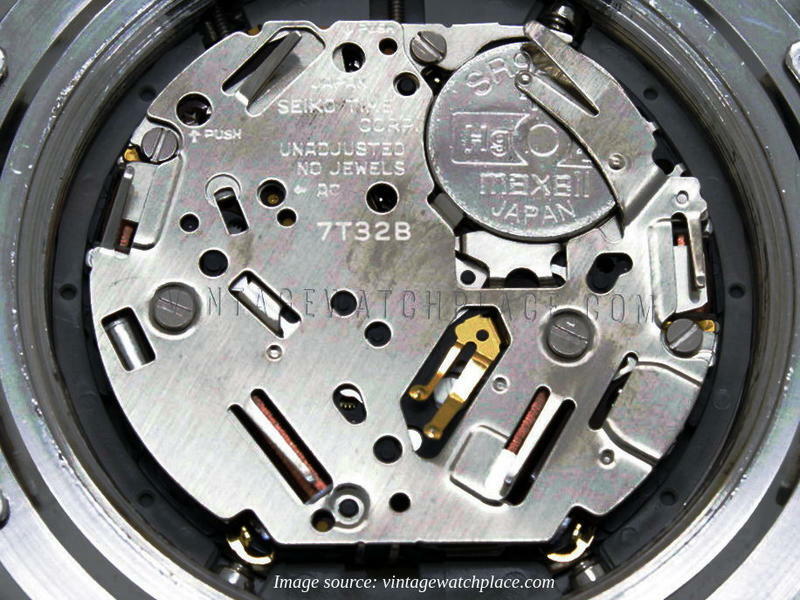 From 1993 to 2000, SEIKO again supplied the MoD with a new quartz chronograph, powered by 7T Series that replaced the 7Ax8 Series. 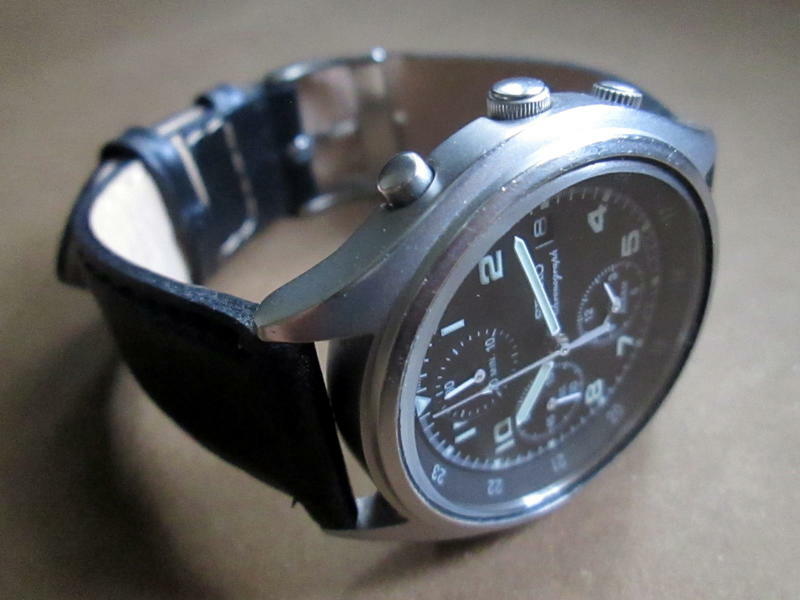 These Cal 7T27 “Gen II” watches, model reference 7T27-7A20, were issued to both the RAF and the Royal Navy (RN). During those seven year period, it has been estimated that around 2400 units of the Gen II were supplied to the British military. 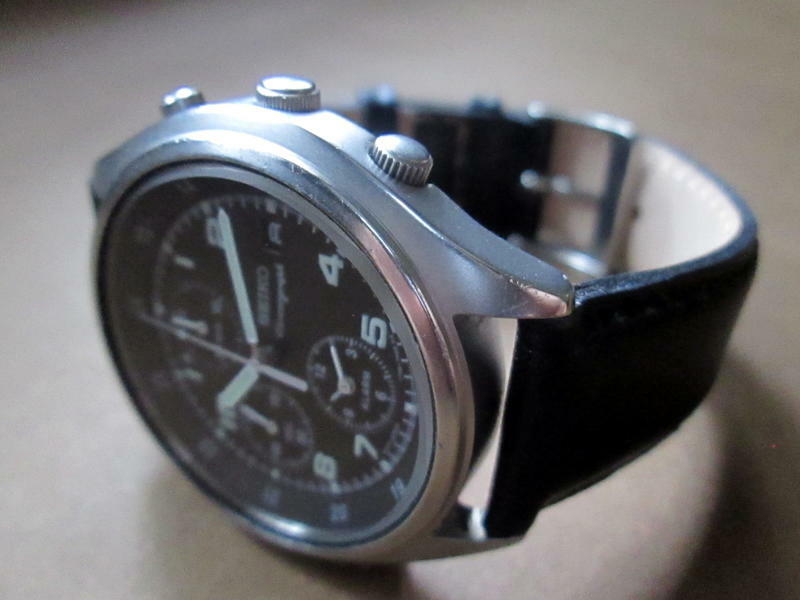 Though relatively more common to find than the Gen I chronos, examples of the Gen II today typically changed hands on the open market for up to NZ$600. 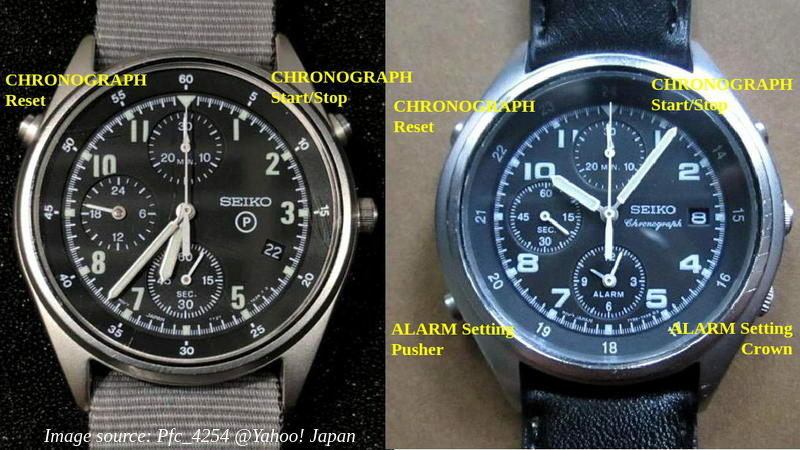 For 35 years, SEIKO has never boasted nor monetize their connection to the British MoD—no marketing bagpipes and drums, no Mil Limited Editions, no tough-looking celeb brand Ambassador. 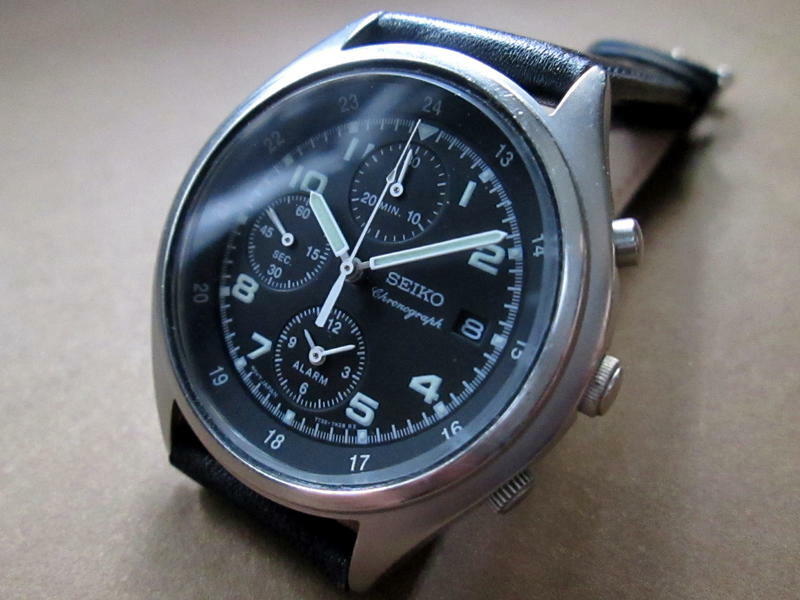 In the style of a true hero, SEIKO discretely made available a similarly-styled quartz chronograph for those of us who would never see the inside of a Panavia Tornado strike aircraft, nor that of an RN Trafalgar Class submarine. 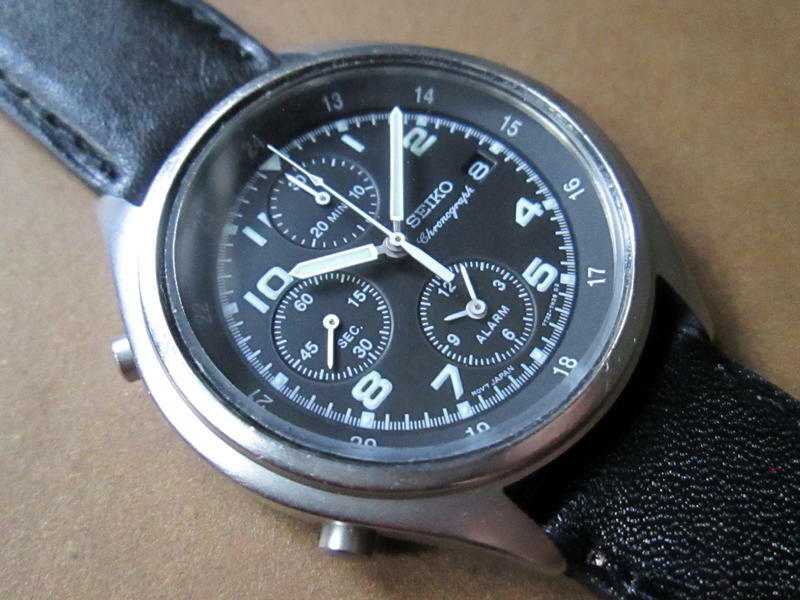 It was the late-1990s, nearing the end of the MoD Gen II contract, that the SEIKO Chronograph SDWC31P (7T32-7E70) “Civilian Version” appeared in stores. 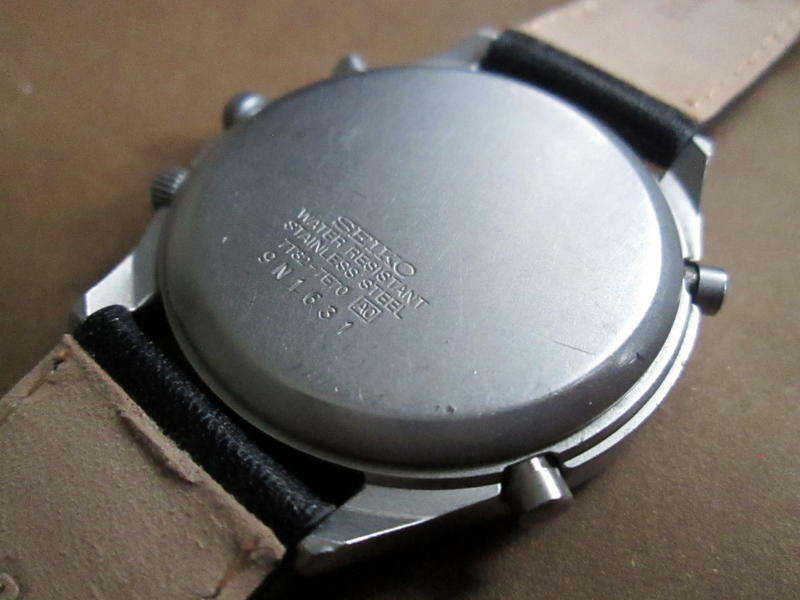 The Cal 7T32-powered chronograph shared similar case, dial, and the same non-reflective sand-blasted case as the issued Gen II. 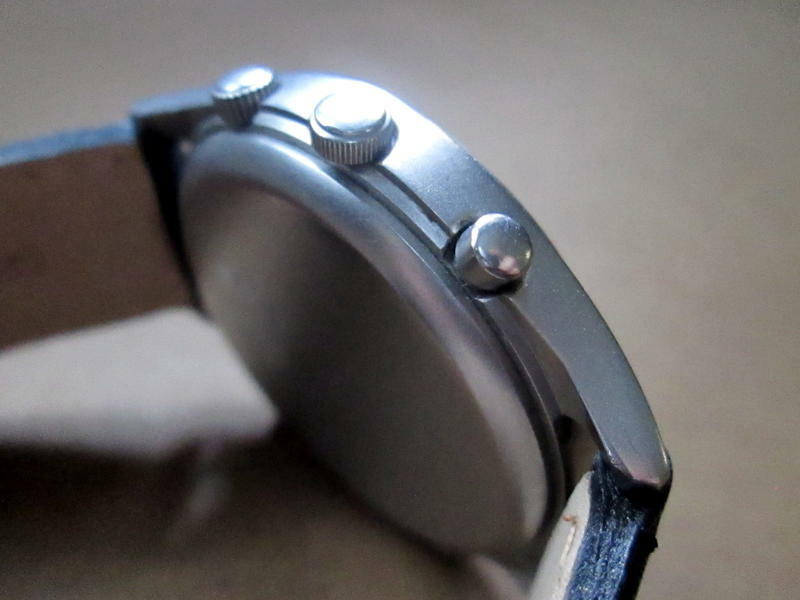 Though equipped with a different version of the same 7T Series module, the chronograph functions in the same way with the Start/Stop/Reset being the top pushers, so that a gloved hand could operate them from above the case. The 7T32 adds Alarm functionality to cater to the multi-function-loving trend of the 90s, and this is taken care of by the lower crown and pusher. 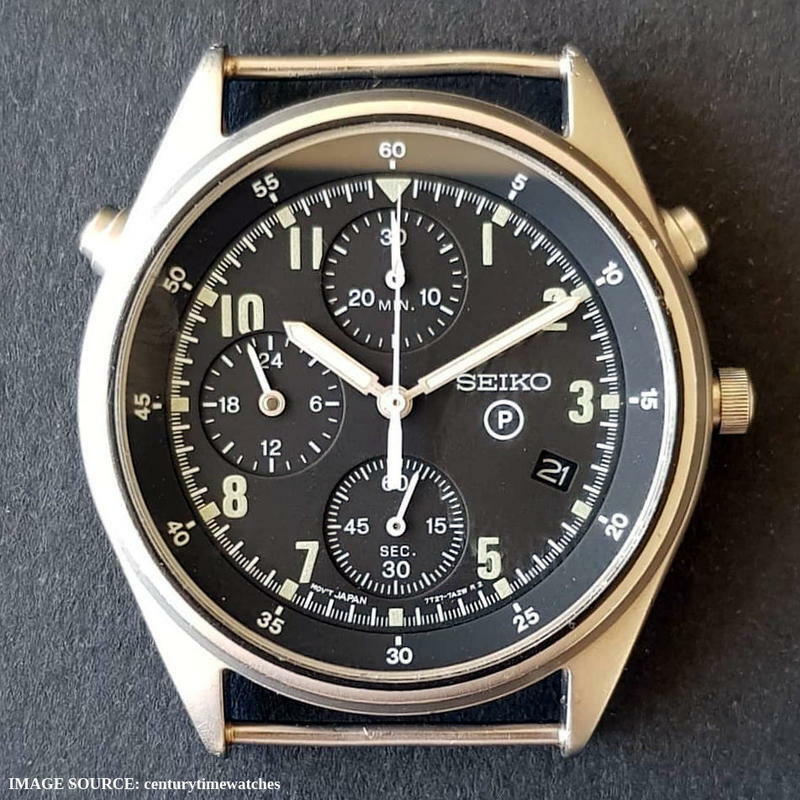 For those whom the RAF/RN-Issued Gen II is beyond necessity or out of reach in terms of price, these “Civilian Version” are attractive propositions, and one that would still retain value well above most SEIKO quartz chronographs on the market. On offer today is an all original SDWC31P from November 1999. 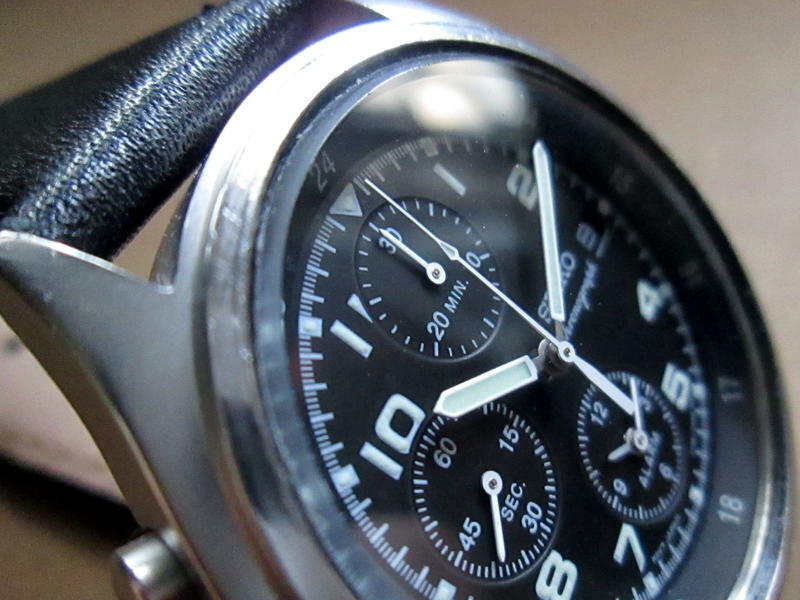 This timepiece was purchased last year from its first owner, who owned it since new. 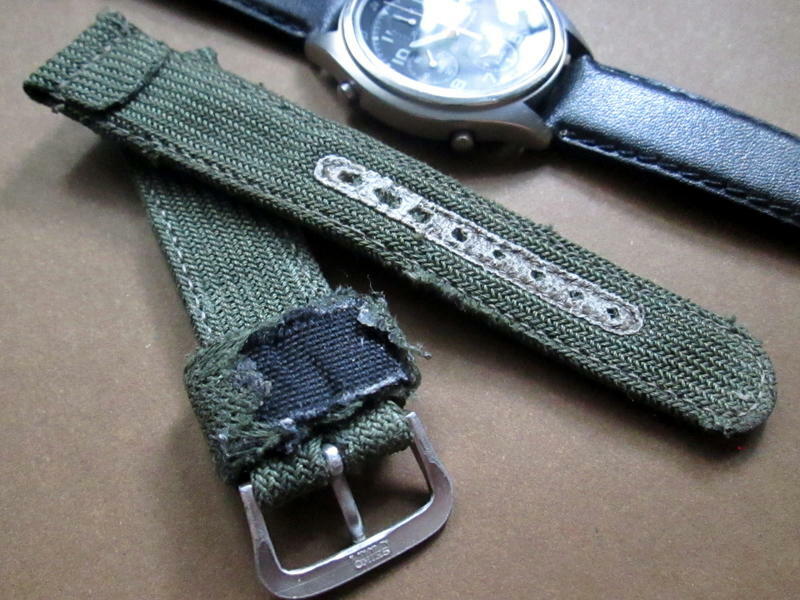 Judging from the condition of the specimen—in particular, the tell-all original nylon fabric straps—the SEIKO has seen relatively low wrist time for a 20 years old piece. Over all, the condition of the head rates TKNZ “EXCELLENT” (90%). The case has its original matted finish, never polished, with minimal wear for its age, while the glass is free from scratch. The dial shows no sign of moisture intrusion, and the lume still glows impressively for a two-decade old watch. 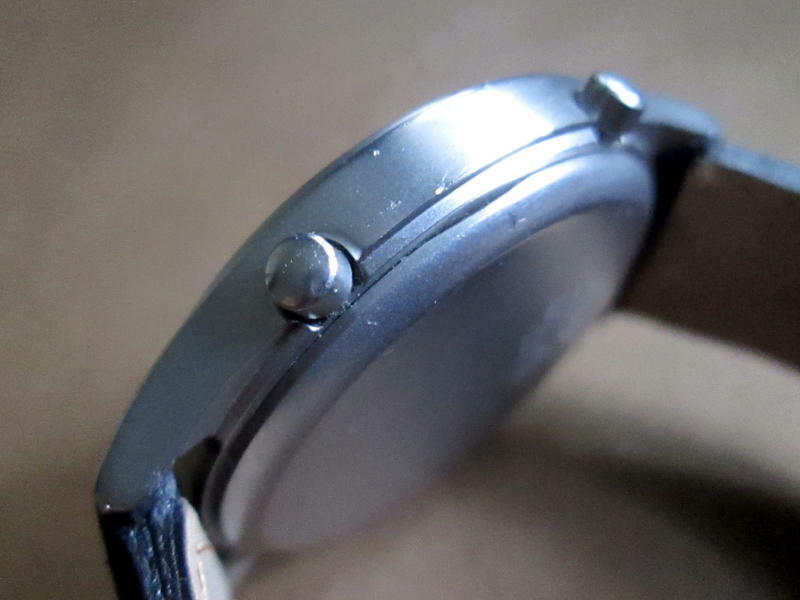 My watchmaker has replaced the battery just a few months ago, in November. Case back gasket was inspected and seems in good condition, though no pressure test was conducted. 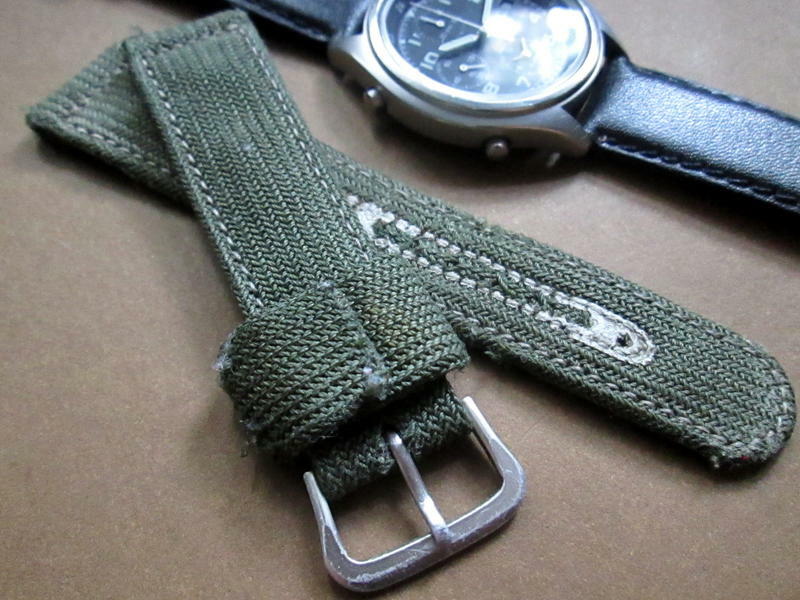 The original green nylon straps, still in good usable condition, were removed when I received the watch, and has been laundered—clean for the new owner if he chooses to use them. Currently fitted are new, unworn, leather straps, and you can also, if you wish, swap the buckle for the original set—they are the same size. The accompany photos, taken just a couple of days ago, form a part of my description—please study them well. The 7T32 and I are in Bangkok, Thailand, and plenty of references are available both on this forum and on TradeMe (dontia). Payment is to my New Zealand bank account, and the asking price includes delivery to NZ by Registered Airmail, with Track & Trace—transit time is approximately 8 business days. No additional import tax/duty nor GST to pay. To inquire, please use the forum’s Personal Message facility. Thank you for looking. Last edited by Don; 10-02-19, 23:02. All times are GMT+12. This page was generated at 03:58.